Philadelphia University’s textile design programs showcase innovations at the International Contemporary Furniture Fair. Philadelphia University faculty and students showcased innovations in textile design at the 26th annual International Contemporary Furniture Fair (ICFF) at the Jacob K. Javits Convention Center in New York May 17 to 20. Visitors explore PhilaU’s exhibit at the International Contemporary Furniture Fair. 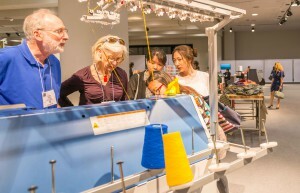 Those attending the fair, including architects, interior designers and entrepreneurs, learned about technological innovations at PhilaU in the areas of jacquard weaving, computerized knitting and digital printing through demonstrations and displays of innovative textiles created by PhilaU students and alumni. 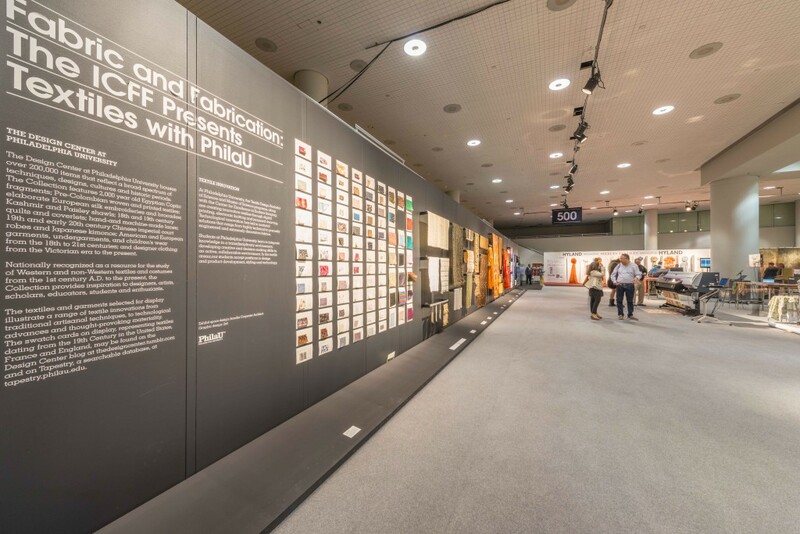 “The PhilaU exhibit also showcased examples from the impressive textile collection of The Design Center to highlight historic innovations on a global scale,” said Marcia Weiss, textile design program director. The Design Center at Philadelphia University, an extraordinary resource for textile design students, houses over 200,000 rare and historic items that reflect a broad spectrum of artisanal techniques, designs, cultures and time periods.